*Our shop is open from 9:00 a.m. to 4:00 p.m., Monday through Friday and from 9:00 a.m. to 1:00 p.m. on Saturday. Having a local family florist is as important as having a local family dentist! We would love the opportunity to serve as YOUR Local Family Florist! 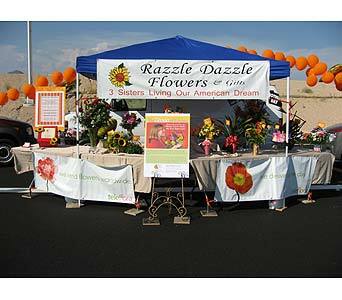 Caroline, Clara and Marcella have owned Razzle Dazzle™ Flowers & Gifts in the East Valley for over 11 years. 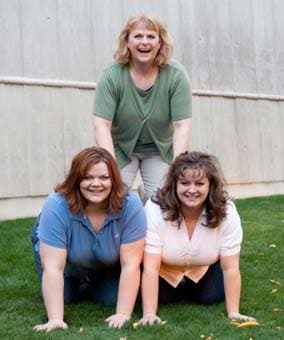 If our slogan of "3 Sisters Living Our American Dream ~Playing With Flowers~ All Day, Everyday (except Sunday)™" doesn't aptly describe us and what we do ~ keep reading! 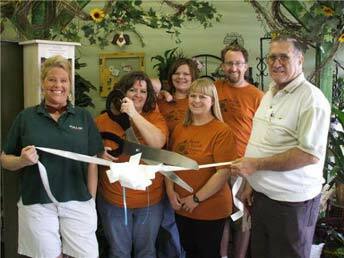 We have over 45 years combined experience in the floral industry. 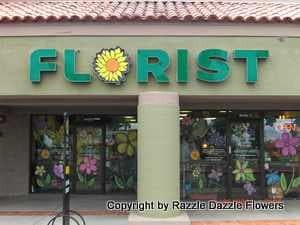 We have all graduated from the Arizona Master Florist Program and continue our education as often as possible. 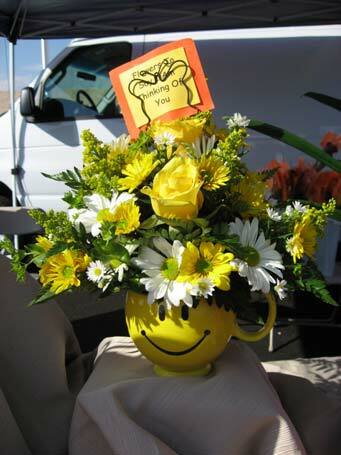 Caroline served as President of The Arizona State Florists Association for the 2011-2012 term year. We personally create each of our fresh flower arrangements. As a family owned and family operated business, we take great pride in providing the highest quality of fresh flowers, artistic design and personalized service. We are located at 7528 E Main St Mesa, AZ 85207, on the NW corner of Sossaman and Main St. You can visit us in-shop Monday - Friday from 9am to 4pm & Saturday from 9am to 1pm. Our local phone number is 480-983-0802 or please call 800-220-1183 if you are out of state. Bill is our driver and he specializes in prompt, courteous floral deliveries in Mesa, Apache Junction, Gold Canyon, Queen Creek, and Gilbert. We are also a part of the Teleflora Network, so we can get flowers delivered anywhere in the world through our Teleflora associate shops. 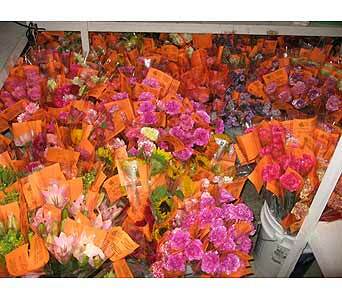 Our coolers are stocked daily with a variety of beautiful, fresh flowers. Whatever the occasion, we can create a stunning arrangement to fit your needs and specifications. In our training, we have learned how to properly process flowers and how to obtain the optimal flower life for your special recipient. We also have beautiful house plants, balloon bouquets, gift baskets, and we can also create custom silk arrangements specific for your decore. We would love to be your full service florist! Our commitment to you is 100% satisfaction on all your floral and gift purchases. If you are not completely satisfied, let us know by calling (480)983-0802. Contact us at 480-983-0802 or 800-220-1183 or via email at razzledazzleflowers@hotmail.com or come in to the shop at 7528 E Main St Ste 1 Mesa, AZ 85207. We are located on the NW corner of Sossaman & Main Street behind Wok In restaurant and next door to the SAS Shoe Store and Superstition Grand Antique Mall in Sun Valley Plaza. Our local delivery area includes Mesa, Apache Junction, Gold Canyon, Gilbert and Queen Creek. Ambassadors from the Apache Junction Chamber of Commerce joined Caroline, Clara, Marcella, Ella and Bill in celebrating the FIFTH anniversary of Razzle Dazzle Flowers & Gifts with a ribbon cutting ceremony on Wednesday April 15th, 2009.